Gudang Garam Surya Pro Mild is one of the most popular cigarette brand is the evidence of Gudang Garam high quality products. 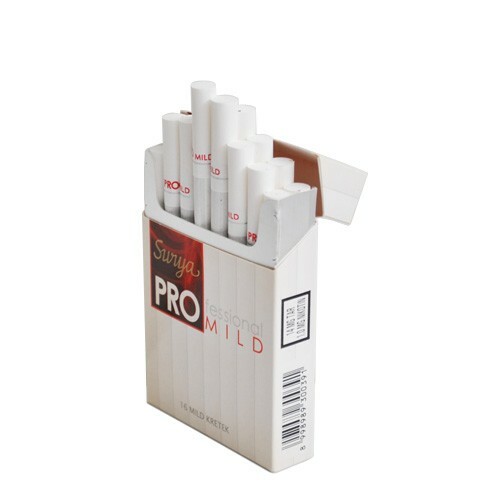 Its excellent taste and flavor is a result of expert selection of ingredients and rigorous processing - expressed as the character of Gudang Garam ProMild: Pria Punya Selera ("Man's Taste"). In line with this concept, this cigarette is made for men having a tough personality, modern style and good appreciation of the real art of smoking.